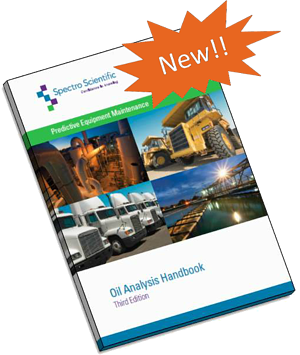 It has been over two years since the publication of the first edition of Spectro Scientific’s In-Service Oil Analysis Handbook. Our goal was to compile a comprehensive reference book of common in-service oil analysis techniques to help readers understand and choose the right technique and instrumentation for their needs. In-service oil analysis for condition based maintenance covers a wide array of topics. We reorganized the structure of the content for better clarity and added articles to cover more topics and instruments associated with oil analysis. Also, we rewrote several articles including the latest developments in the market. As we learned more from our customers about their successes using on site oil analysis, we developed case studies that you can find in this edition. In-service oil analysis technologies have advanced in the past few years. Innovations in new products have brought on-site oil analysis into the hands of reliability professionals and mechanics. Simple analytical tools enable engineers to make maintenance decisions quicker and with more confidence. We are pleased to share the recent developments in this field and look forward to more progress in the future. This Oil Analysis Handbook covers a wide variety of topics ranging from specific oil analysis techniques to applications for oil analysis, to success stories of companies that use on-site oil analysis to lower costs and improve uptime. The applications for oil analysis range from mining and trucking to water treatment, service providers, and industrial plants. The techniques covered in this handbook include elemental analysis, particle analysis, infrared spectroscopy, viscosity, and fuel dilution.